PATNA: Bihar opposition leader and RJD lawmaker Tejashwi Yadav has likened chief minister Nitish Kumar to a “dinosaur” claiming he would vanish from political scene sooner than later. 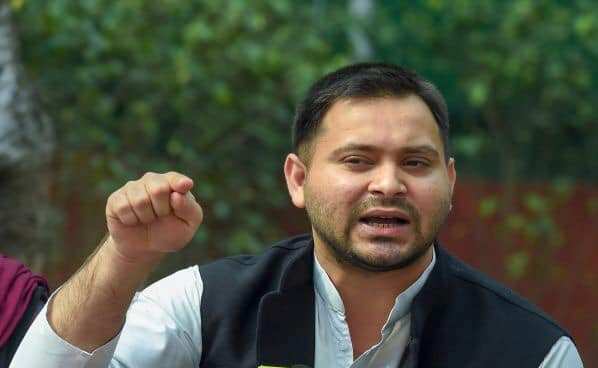 “Nitish Kumar is like dinosaur…he and his party will go extinct like archosaur reptiles very soon,” Tejashwi said in an interview to a Hindi news channel. Dinosaurs are a diverse group of reptiles which are believed to have first appeared during the Triassic period, between 243 and 233.23 million years ago although the exact origin and timing of the evolution of dinosaurs is the subject of active research, according to science journals. They have now gone completely extinct now. Kumar who heads the NDA government is Bihar also happens to be the national president of his Janata Dal United (JD-U). Replying to a question, Tejahswi said there were doubts that the chief minister Kumar would stay with the BJP after Lok Sabha polls. He claimed the RJD-led Grand Alliance would win majority of seats saying they were able to win even non-traditional seats during the recent by-elections. He described non-projection of PM face from the opposition as “non issue” saying the BJP went to elections in many states without declaring its CM candidates.